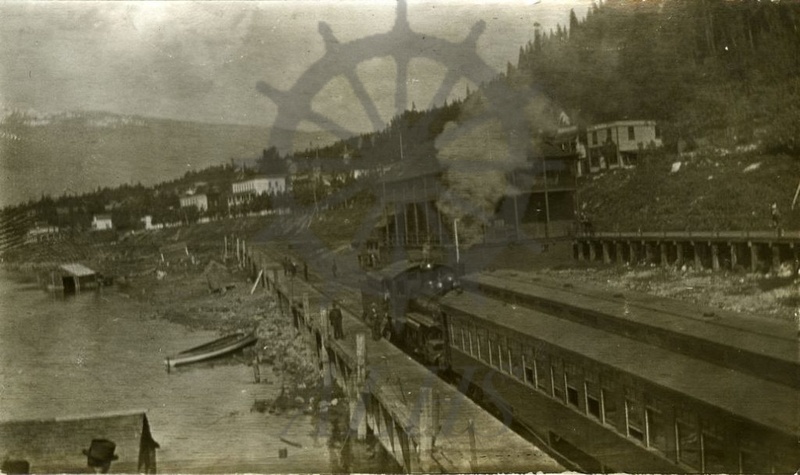 Train preparing to leave Canadian Pacific Railway station, Arrowhead, early 20th century. Upper Arrow Lake at left. Downtown Arrowhead left of centre.